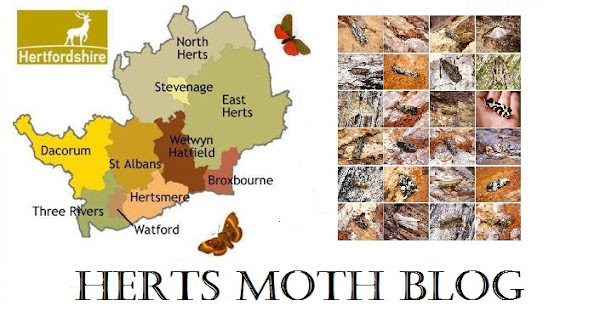 It's been that good mothing this year that i'm really struggling to keep up and thus I have lumped my records together again as one big list of weekly moths (apologies to the innacurate data that I may provide at the end of the year). Juggling family life with moths and work is very difficult, particularly when you have less than an hour to go through 200+ moths of between 65 and 90 species every other morning, then photograph them after work and then process that and type up a list. On top of all that i'm struggling to get up with the dreaded man flu! So here is my weekly list of all the species and approximate numbers that i've recorded. Some real crackers all week and several species new for the garden! A second garden record of the ever-spreading Coronet was great to see as well as Anarsia innoxiella...will this recently seperated distinct species spread like Epiphyas postvittana and Tachystola acroxantha? The Miller and Barred Hook-tip were back after a 4 year absense and once again they are only my second garden records. Donacaula forficella was a welcome wetland wanderer which last appeared...guess when! in 2013 4 years ago again. Sitochroa verticalis and Elachista atricomella were new for the garden.